What's the speed limit when you see an accident sign? You're driving at 100kph and see an accident sign. What speed must you slow down to? You're driving at 100kph and see an accident sign. What speed must you slow down to? If you see an accident sign then emergency services will be attending as only a police officer can put this sign up. 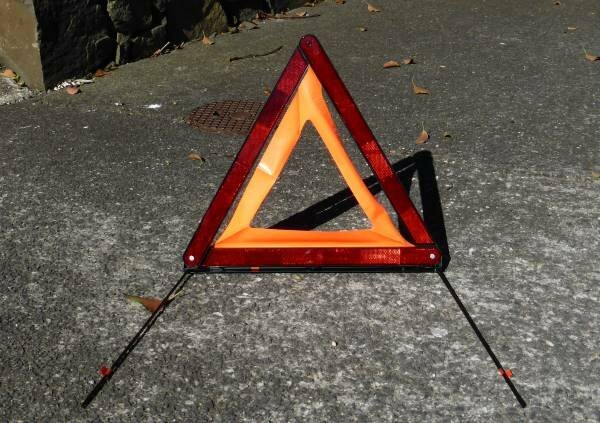 Other road users can use warning triangles to warn people that there is an accident ahead. It might only have the bottom ACCIDENT plate and it could also be in blue and white rather than orange and black. Some cars come with these as standard (usually European ones). We have an in-depth guide to dealing with accidents and accident scenes here.